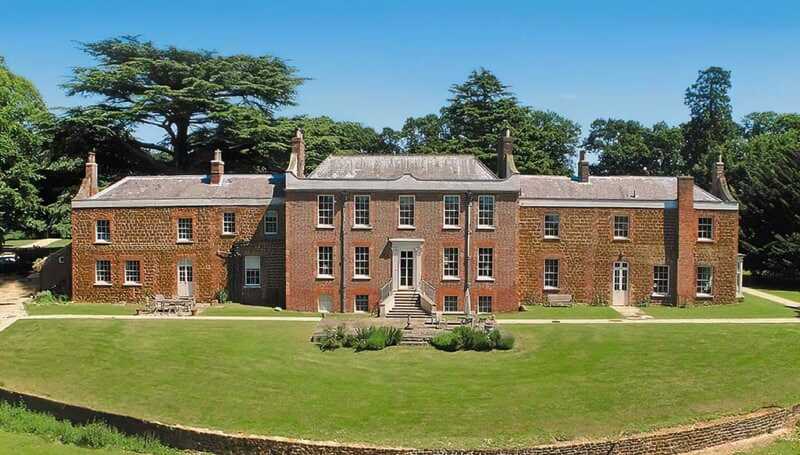 Ingoldisthorpe Hall, part of an estate on the beautiful Norfolk coast. Sleeps up to 20 in 9 bedrooms with 6 bathrooms. The main house sleeps 18. Weekends from £2,755 to £4,820, full weeks from £3,445 to £5,500. For shorter stays please enquire. 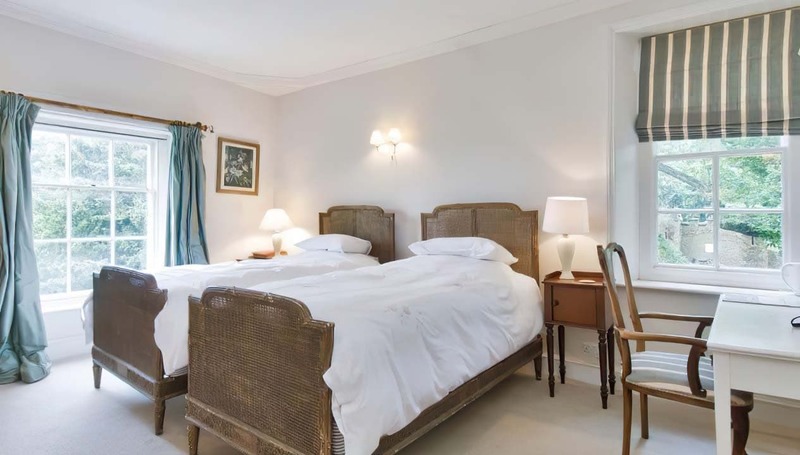 If fully occupied, price per person per night is usually between £25 and £80. Ingoldisthorpe Hall offers a romantic and beautiful place to celebrate such a special day. Seats up to 50 indoors and the total venue capacity is 75. Ingoldisthorpe Hall is a gorgeous ginger-bread of a house – the local stone from which its wings were built is called carrstone, or ginger-bread stone. The hall is part of a larger estate, which includes three cottages; Groom’s Cottage, Gardener’s Cottage and Ivy Cottage. In total, the estate (also known as Mount Amelia) can accommodate up to 34 guests. 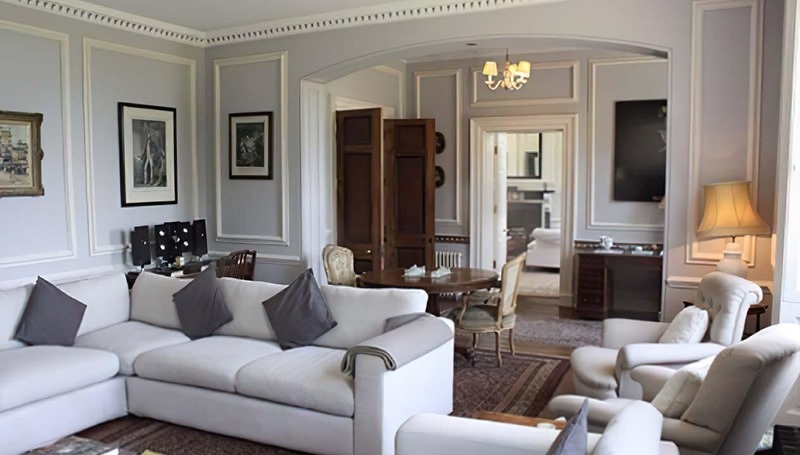 The Hall itself has nine bedrooms, one of which is a family room with beds for four. 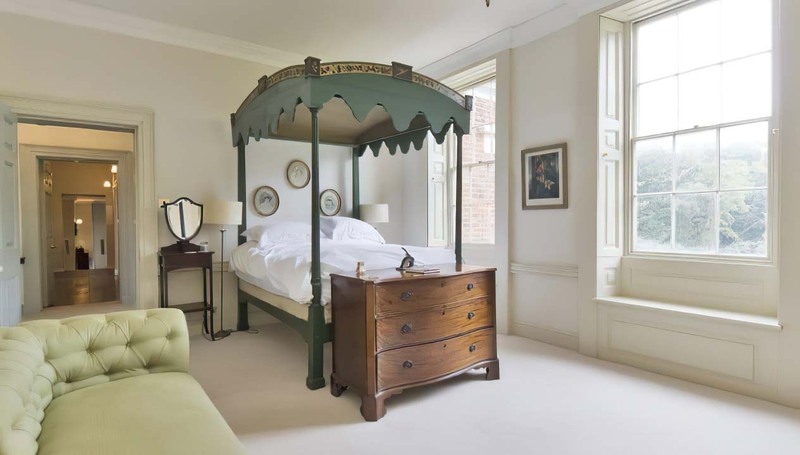 It can sleep up to 20 guests in 9 double rooms (four of which – including the family room – are en-suite, and three of which are four-posters). There are two further bathrooms and three loos on the ground floor. 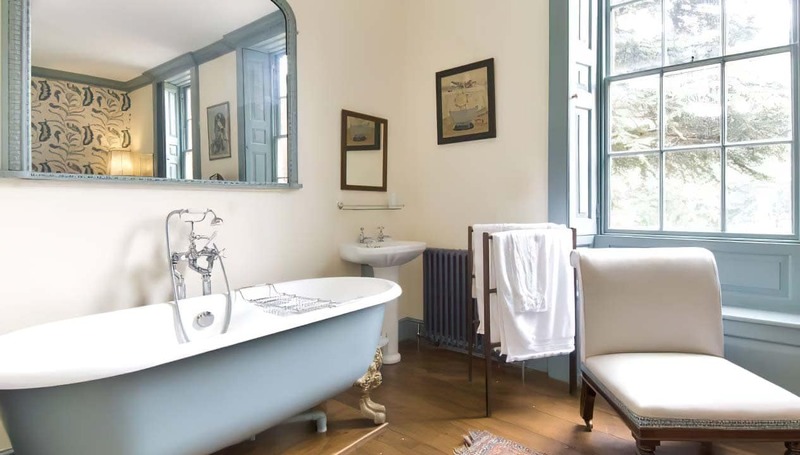 One of the rooms – Bara’s Bedroom – has a sink and roll-top bath beneath the window, excellent for contemplating the gentle movement of the trees against the Norfolk sky. 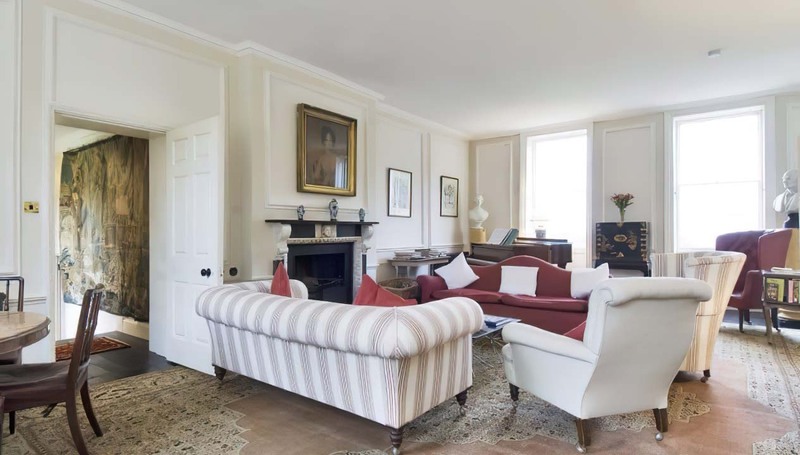 Downstairs, there’s a sitting room and drawing room, a games room (with table tennis and table football), and a reading room, for escape into scurrilous novels. 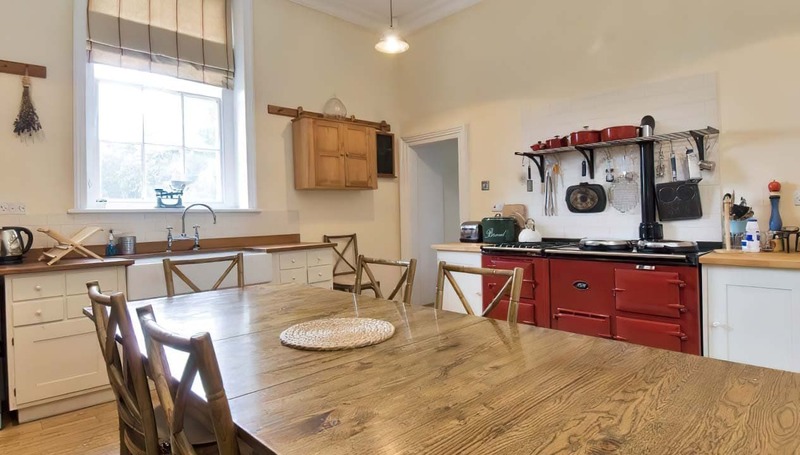 There’s a large dining room, which seats 20, and a good-sized kitchen, with a table for eight and an Aga, and a double electric oven, so cooking for a full house is as stress-free as possible (though you could always use the excellent caterers). 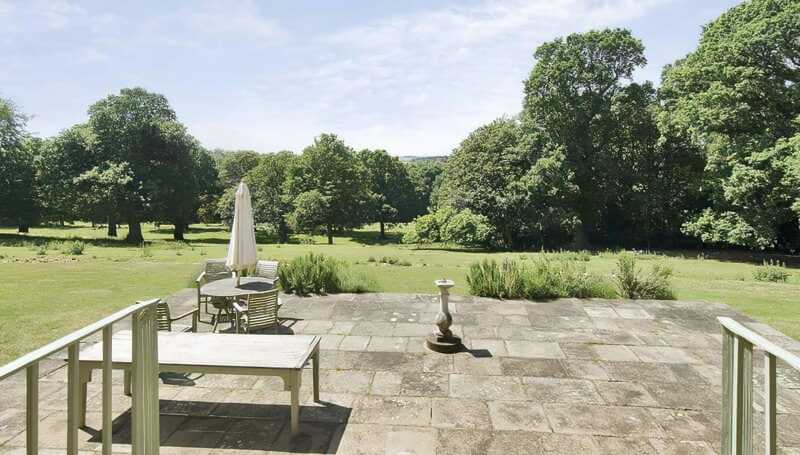 Outside, there’s a terrace with seating, leading onto lawns and parkland, and plenty of space for hide-and-seek, or treasure hunts. 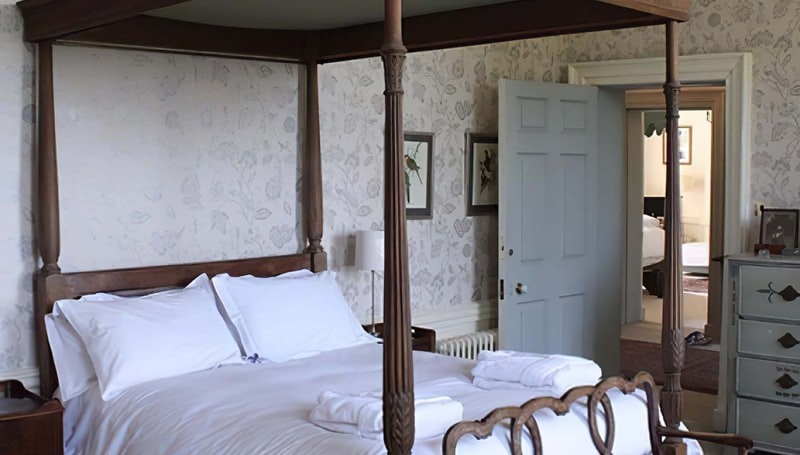 Groom’s Cottage and Gardener’s Cottage are adjacent, and each sleep four guests. 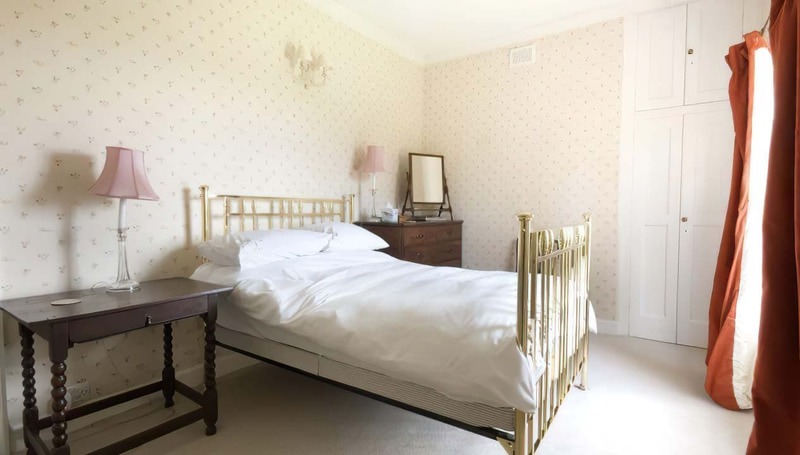 Ivy Cottage can sleep 6, and has a bedroom on the ground floor. There’s a downstairs loo, but the bathroom is upstairs. The estate is in the edge of Ingoldisthorpe village, close to the Royal Sandringham estate. It’s about 25 minutes’ drive from Kings Lynn. Kings Lynn is a two-and-a-half hours’ train journey from central London. The Ingoldisthorpe Estate itself offers about 30 acres of park land to explore, and there are footpaths and cycle routes. There are some great beaches within easy reach – Snettisham is about 11 minutes’ away in the car. There’s also Hunstanton (with its dunes one end, slot-machines and fair ground the other), and Brancaster, which is vast and sandy and is perfect for children who need to run wild and loud. 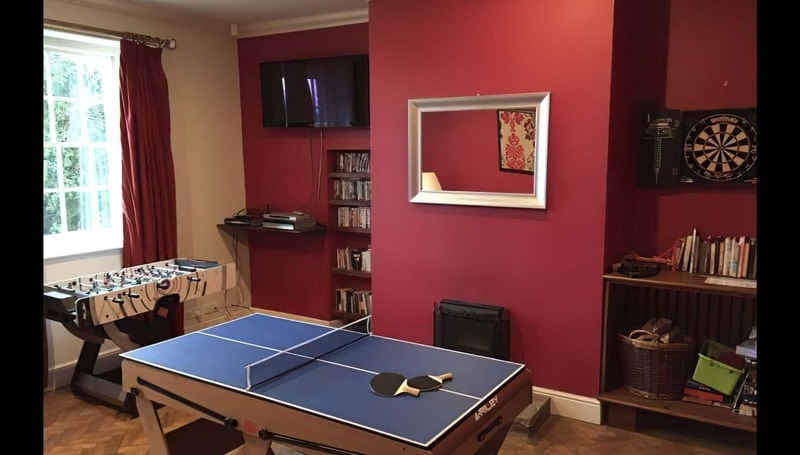 If you’d like to organise some distractions for your party, the house can help you arrange archery, fishing, shooting, golf, murder-mysteries…kayaking, cycling. Some activities can be arranged on the estate, others will be elsewhere. The Hall has capacity for 80 guests seated, and 100 standing. Marquees are possible, should you have a larger guest list. A hot tub is available to hire for the duration of your stay, at an additional cost – please mention if you are interested in this when booking/enquiring. We recently stayed here for the weekend (a party of 13 adults 8 children and an infant) and had the most amazing time. The house is beautiful and so big and really has everything you need for an enjoyable stay. The kids loved the games room and also playing out in the grounds on the tree swings. Vicky was so helpful prior to our stay and answered the vast amount of questions that we all had. We enjoyed it that much that we have already booked again for next year!!!! I've just spent a memorable week at Mount Amelia with my painting friends and we're already planning our 2019 visit. 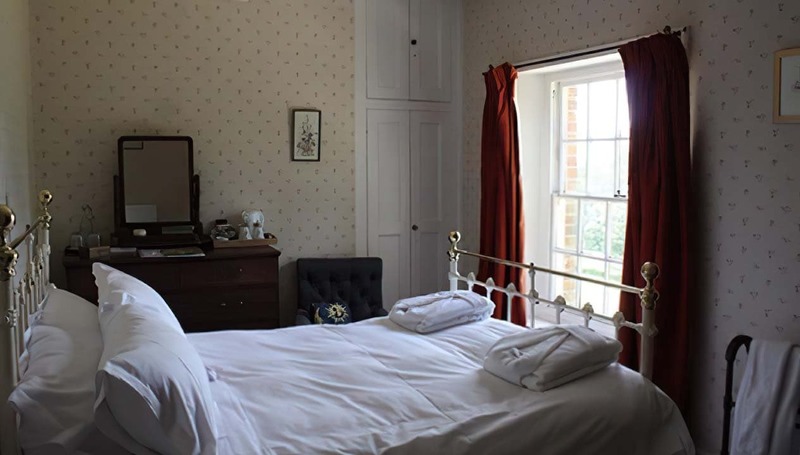 The setting and rooms are delightful with variety and great historical charm. It was a week of discovery with so much to remind us of past life above and below stairs, all brought up to a charming, comfortable and warm standard (which the original below stairs must have lacked!). 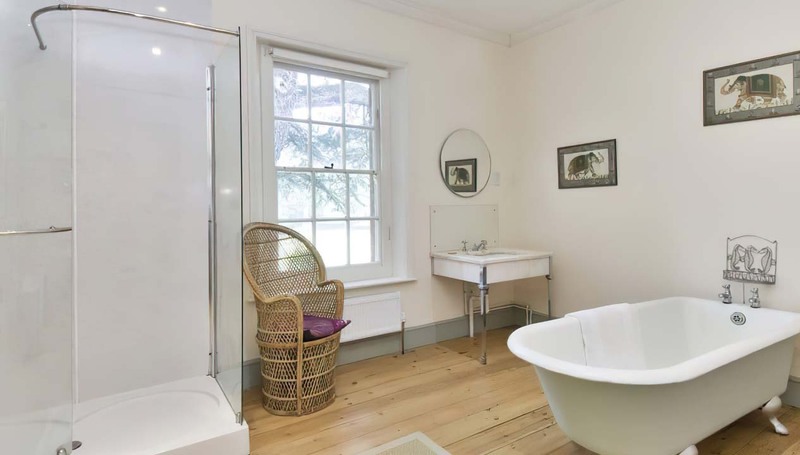 My bedroom had wonderful views of trees and parkland in the front, a rolltop bath (difficult to get out of for the elderly! ), lovely, quirky décor. 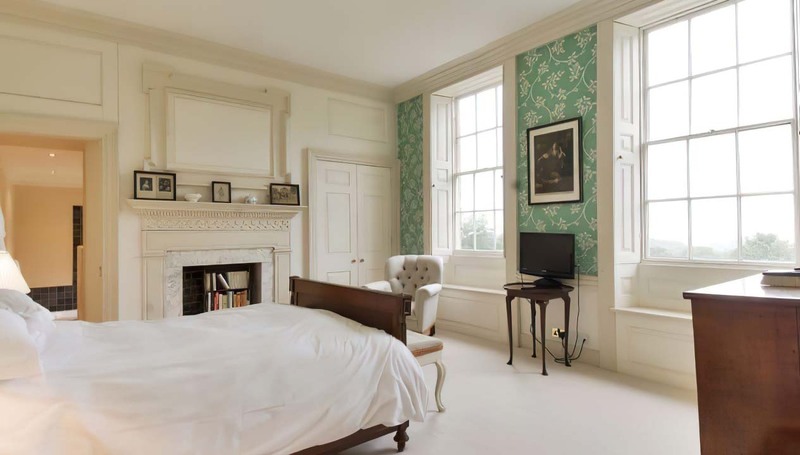 Neither pompous nor unsuitably immaculate for lively children, no details are spared: large radiators, dressing gowns, tea makers, hairdryers, all provided. Some of the party gloried in four poster beds and most had their own bathrooms. 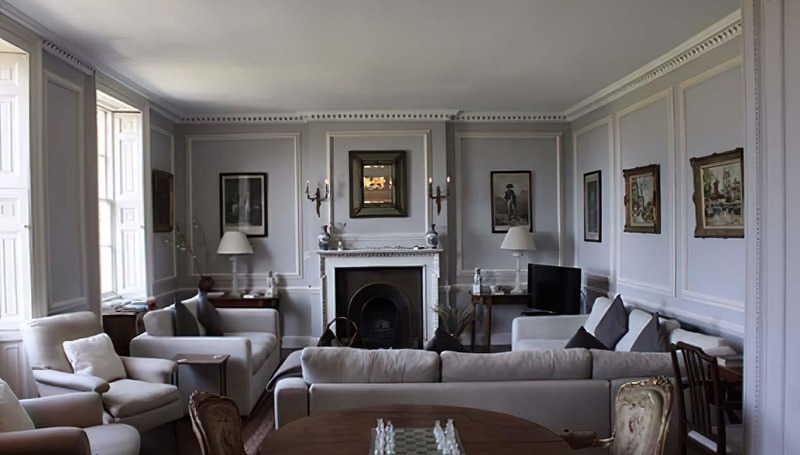 Painting subjects were everywhere, long (and frequent) meals enjoyed in well-equipped kitchen and dining room, and wonderful sunsets to tell us when it was time to put down our paintbrushes, light the fires and enjoy our drinks in the lovely sitting rooms. All in all a perfect place for groups or family celebrations. And a colony of seals at low tide in nearby Brancaster... the icing on the cake! Until next year, we hope... with thanks to all who contributed to making it such a good week this year. We hired the hall for a family holiday and had a wonderful week. There's so much space in the house and grounds and the kids particularly loved running around and exploring. There's a big swing under one of the trees in the front garden that we spent hours on, it was so relaxing! This was our second visit and we've already booked for next year. Vicky who organises the bookings is super efficient and made everything really easy for us. I arranged a mid week break at Ingoldisthrope hall for a family gathering. We are a large family of 23, ranging from age 9weeks - 55. The reviews and photo's on website looked amazing. We was not dissapointed at all, the house and views were stunning. Fantastic facilities and everything you need is in the hall even for a large group. Bedrooms and bathrooms are clean and comfortable. kitchen had everything you needed and the Arga was perfect. Lots of perfect finishing touches to make it feel cosy. Vicky was very helpful from the very first email all the way through to checking out. Our stay was perfect and we would return again. We were a group of 12 women friends who were catering for ourselves in the beautiful 18th century Ingoldisthorpe Hall and nearby Ivy Cottage to celebrate my birthday last weekend. 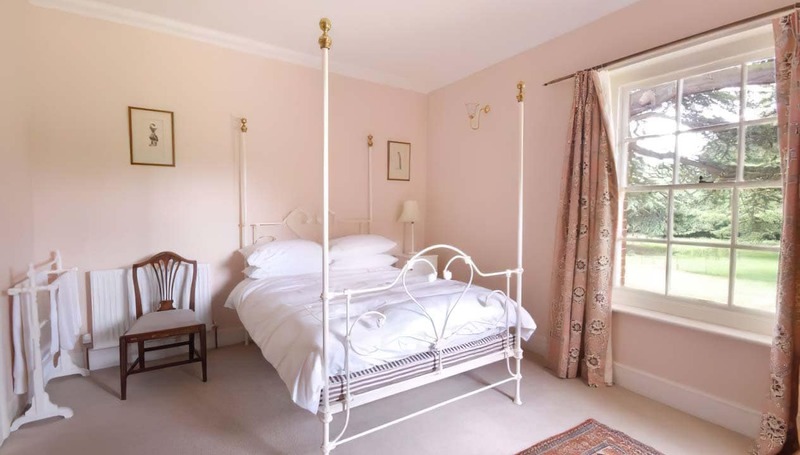 The house has stunning views of the North Norfolk countryside and beaches. The accommodation did us proud - it was so inviting, comfortable and warm that by Monday no one wanted to leave. 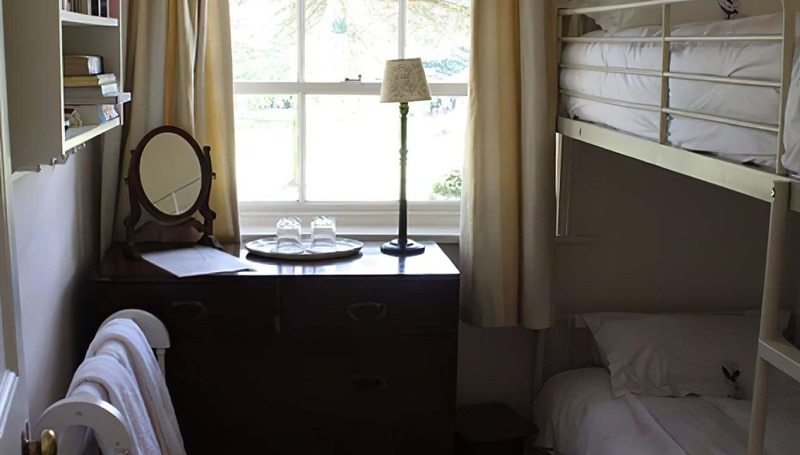 Not to mention the individually styled bedrooms... blissfully comfortable beds, fine cotton laundered sheets, towelling dressing gowns to wander around in, lovely toiletries. What more could you want? Thank you to the house manager Vicky for her assistance and suggestions about florists (I highly recommend Lockwood and Lily), caterers, outings and activities. I couldn't recommend it more. If you would like to spend a weekend or longer in a beautiful Norfolk house, with lovely views, this is the place. I stayed in the master bedroom, which had a four poster bed and an en suite bathroom. One of the most comfortable beds I have slept in. The linen and towels were of superior quality. A hair dryer and hot water bottle in the chest of drawers. A kettle and mugs in the room with various teas and coffee and biscuits. A great view down to the sea, over the trees too. Sunsets were stunning. Everything was spotlessy clean. We were a party of twelve, self catering, so the two dishwashers were very useful and should you have needed them there were two washing machines. Masses of crockery and cutlery too. I would certainly like to visit again. 13 of of us started in Texas and 3 more from Louisiana we flew into Manchester and then hired a coach to Mount Amelia where we met up with the last two members of the group we stayed for one week at Mount Amelia and everyone is still talking about the trip and the place it was perfect for our group and loved every about it all the rooms were very nice and clean .The kitchen was great for cooking and had everything we needed . I can’t imagine we will ever find a better place to vacation . I had the pleasure of an 'away day' from work at Mount Amelia today. The hall itself is stunning, as well as the surroundings. The staff went out of their way to accommodate us and did so superbly! The food provided was delicious - really fresh with quality ingredients. I would happily stay here and will definitely return in the future for functions. A lovely spot in our lovely countryside! Absolutely 5*****! I fell in love with this beautiful house. Amazing place would highly recommend and would love to return. A fantastic venue for our family wedding. Great hosts and beautiful building and views. A superb venue! We rented Mount Amelia for a long weekend to celebrate a 60th and a 70th birthday.We were 16 adults - young and not so young, 2 tiny tots and 2 black labs. Every one of us loved the house - it was just perfect. Finished to a very high standard, we all felt thoroughly spoilt. My husband and best friends organised a surprise weekend away at Mount Amelia for my 50th birthday and it could not have been more perfect! Sitting on the terrace with the evening sun and champagne with our friends was better than being on the Riviera; we have already been planning when and who we will go with next time and whether we should go every year! If you're undecided about whether or not to book up, just do it- you won't regret it! We rented Mount Amelia with a group of friends for my partners birthday. We couldn't have asked for more - the property is gorgeous and has been renovated beautifully and had a lovely view. It had everything we needed and Vicky the manager was v helpful leading up to our arrival. Would highly recommend and we can't wait to come back!